Feb 3rd. Portrait and Still Life Workshop. Great evening tonight. Jimmie Herd set up his studio lighting gear and, aided by Malcolm Lind and Mike Bell, we had fun taking studio portraits. 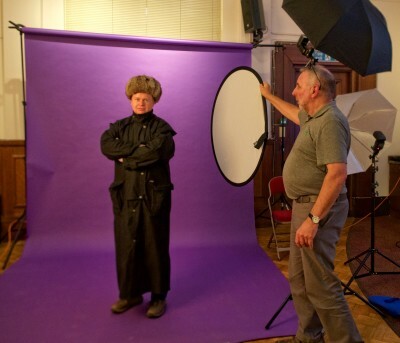 Big thanks to Tim Haynes for turning up in his Russian fur hat and greatcoat. Jimmie, Duncan MacNab and Annette Forsyth also brought some creative subjects for the Still Life. Big thanks to everyone who participated. 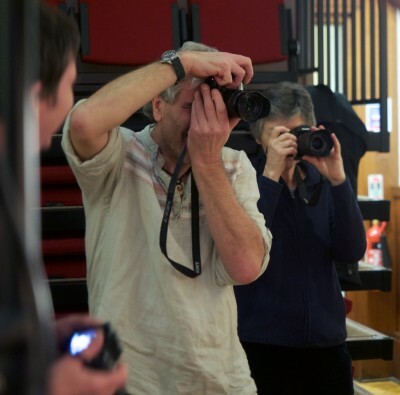 We have created a gallery of some of the images taken – Portrait and Still Life Workshop Gallery. Please send us more if you were there.